Go to www. (LEEANNMILLER.com) and click the option for “Tate Map Interactive Search”. Once the map opens, read the instructions on the welcome page, then close the instructions window. Once you see the map tool, note there is a panel that slides in and out on the left side. At the bottom of the panel, there is a place for you to insert an address. Type your address in the format indicated and click the star. All nearby for-sale homes are represented by red push pins. More importantly, all nearby recent sales are represented by the slate colored push pins. 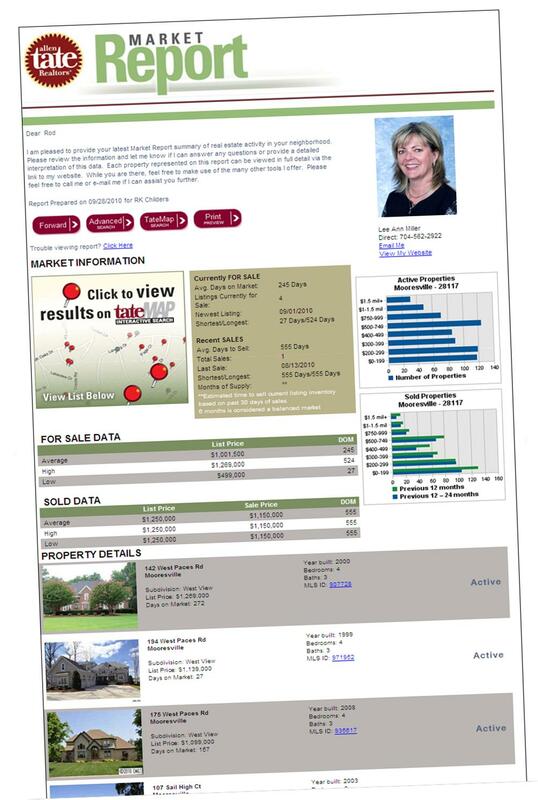 As you hover over the push pins, a balloon display will appear – note you can click the “View Details” option from the balloon to see all of the information about any home.